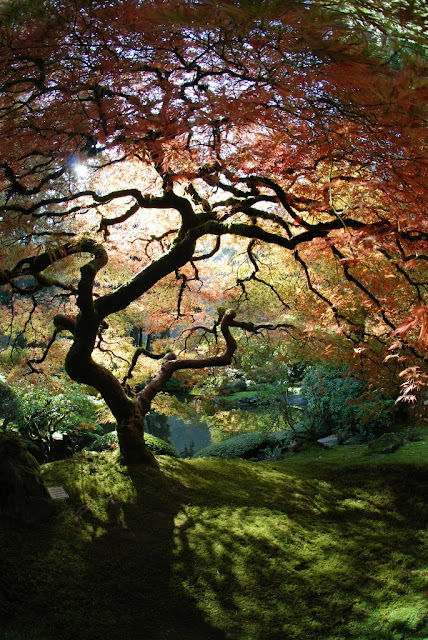 The Portland Japanese Garden is a traditional Japanese garden occupying 5.5 acres, located within Washington Park in the west hills of Portland, Oregon, USA. Three of the essential elements used to create the garden are stone, the "bones" of the landscape; water, the life-giving force; and plants, the tapestry of the four seasons.Japanese garden designers feel that good stone composition is one of the most important elements in creating a well-designed garden. Secondary elements include pagodas, stone lanterns, water basins, arbors, and bridges.